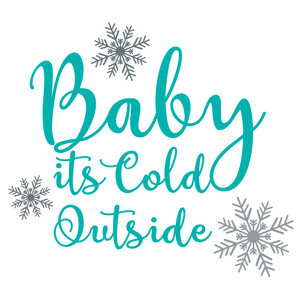 Our January Prompt is....Baby, It's Cold Outside! Your TWIST is to use 5+ Enamel Dots. Sorry, I couldn't resist using that for the Prompt this month!! It's perfect for our Winters in Ohio. You don't have to use it for your title, but you could use it as a theme, possibly something Wintery. Hope that it inspires you in some way. If you don't have anything cold or snowy, you could use the 'baby' or 'outside' in some way. 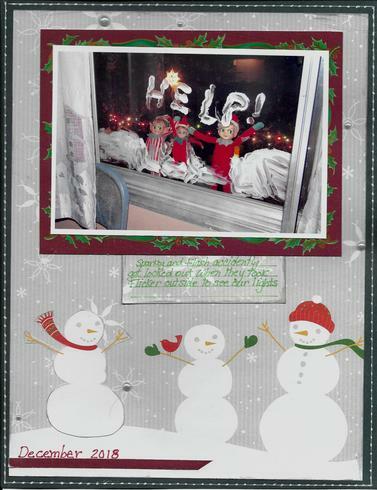 Here's my example which uses the Prompt "Baby, It's Cold Outside" just under the photo PLUS I used 9 Enamel Dots. This can be a paper or digital layout ONLY! All work must be new. You may do this multiple times. You may combine with one other challenge that allows. Please link your work here. Deadline is January 31st. A random winner will be selected for a $5 ACOT gift card from me! If there are more than 20 participants I will draw a second name for a RAK too. Thanks so much to everyone who could participate this month!! Congrats Kathy! I'll be buying it shortly!! Last edited by Deanna13 on Fri Feb 01, 2019 5:34 pm, edited 10 times in total. Great theme, and love that layout! I am so jealous......we haven't had snow here in PA since Nov. 15th! And yesterday it got up to 50. Crazy weather....hope we get some white stuff soon! As a fellow Pennsylvanian, I completely agree. I guess I’ll need to dig through some older photos to participate. Last edited by emmapaige on Sun Jan 06, 2019 4:18 pm, edited 1 time in total. As a fellow Pennsylvanian, I completely agree. I guess I’ll need to did through some older photos to participate. It doesn't have to be 'snowy'. I know your granddaughter's outdoors events look SUPER COLD! We have only a dusting of snow so far this winter but Michigan certainly fits the COLD theme! Awesome challenge! This is what I came up with. One of my favorite episodes with our Christmas elves. The boys accidently got locked out when they went outside to look at our Christmas lights...LOL! LOL.....this is so FUN, Berta and perfect for the January Prompt! 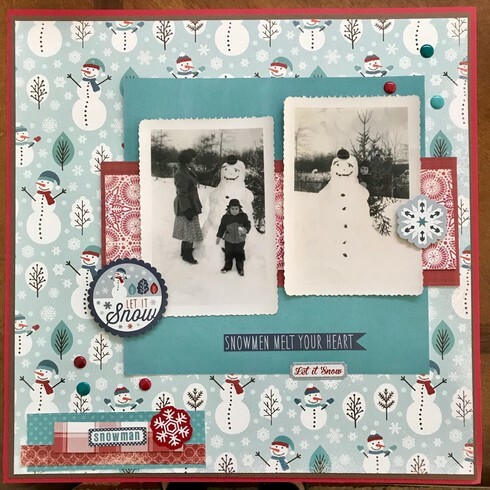 I love the scene with the snowmen and your border! Thanks so much for being my first taker this month! I applied nuvo drops for the enamel dots and combined with cherry lift. I love your choice of papers, Melissa! I've been using those too. I love your accent cluster and other embellishing! Perfect for the January Prompt and thanks so much for participating! Photo of my son outside in the dusting of snow that we got in 2005. 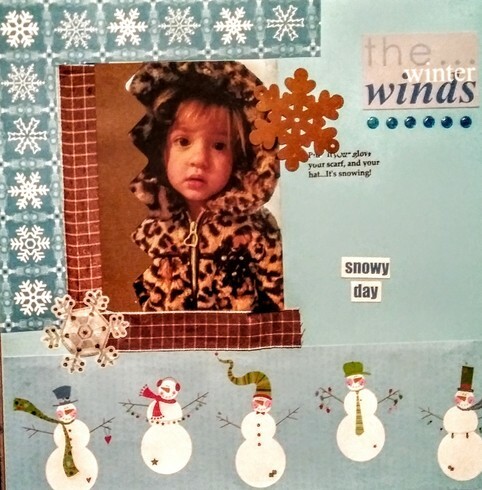 I love this design with all the layered papers and stitching, Donna! 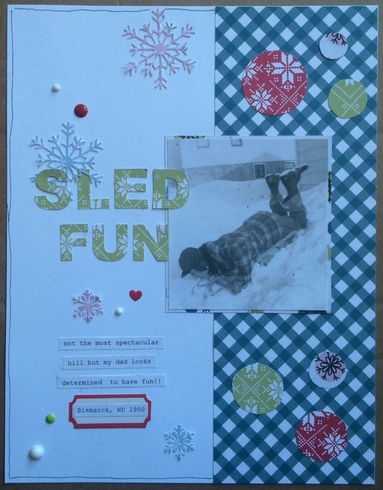 Fantastic work with that sketch and perfect layout for the January Prompt!! Thanks so much for participating this month! aawww...this is so precious, Karen! I love the row of snowmen along with all the snowflakes! Thanks so much for taking my January Prompt Challenge! Not much snow here in Florida but I dug up a photo of my mom and I making a snowman in New Jersey a LONG time ago.1953? I combined with the January Pattern Paper Challenge. 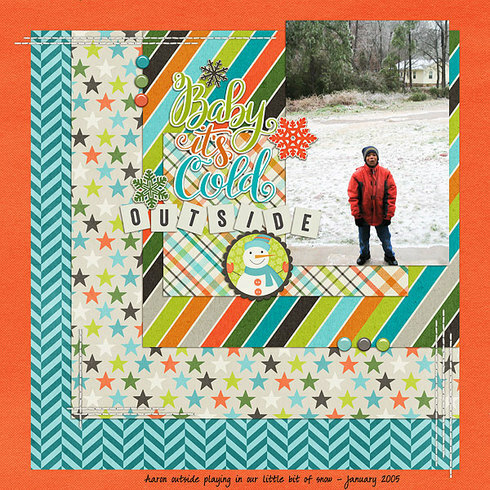 How perfect that snowman paper is with your photos and I love your take on that sketch! Awesome job scrapping those older photos!! Thanks so much for participating in my January Prompt Challenge, Karen! Your journaling is so fun along with that photo, Carrie! 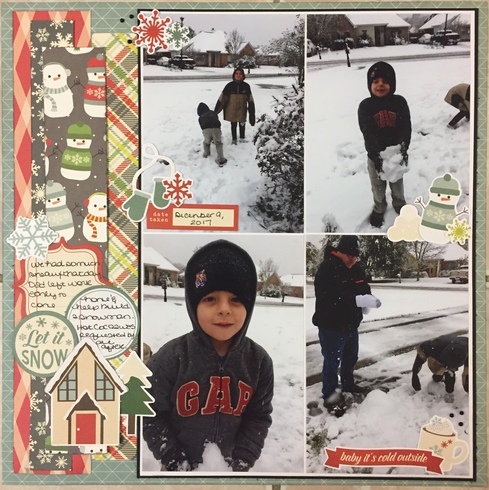 I love your split page design along with the snowflakes and enamel dots! Thanks so much for participating in my January Prompt Challenge! Here is mine! I used 6 enamel dots! 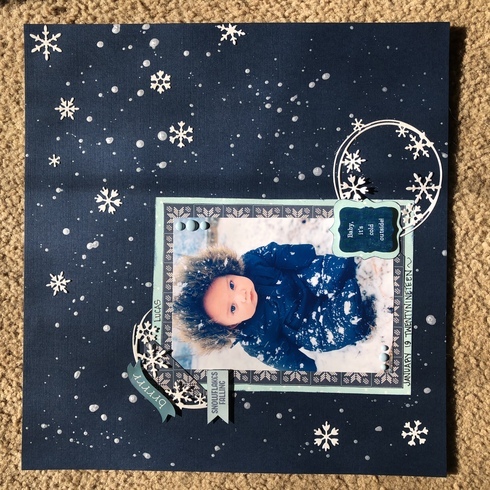 And I have the sticker with the prompt " Baby it's cold outside" Ha and a baby in the cold weather!! aawww...how precious this is and so perfect for the January Prompt Challenge! I love all the splatters and snowflakes! Thanks so much for participating in my challenge, Susan!